It's only been a few weeks since we've seen the best trailer in videogames this year. 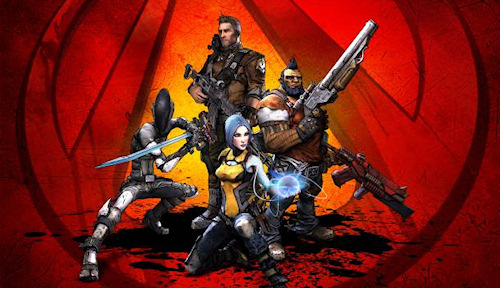 Borderlands 2 looks to be bigger, better and more badass than the original in many ways. Game Informer has an interview with the game's writer Anthony Burch and concept artist Scott Kester in which they chat about the changes coming to the sequel, including details on the new characters, abilities, and story. The first question was based on the new character Zero, who looks a bit like a ninja. The obvious question is - "Is he a melee based character?" Another exciting change is in general how the world looks and feels. 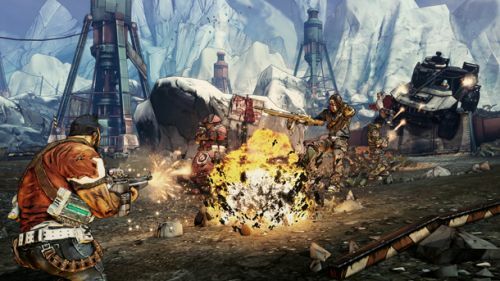 While Borderlands had a desolate wasteland type persona, Borderlands 2's world will feel more alive. The zones are bigger, but the action is more dense. That's not to say the game isn't going for that feeling of apocalypse, but it's just approaching it ina different way to keep things more interesting. On the co-op side of things we already know Borderlands 2 is getting split-screen with online play, ala combo co-op. But there are some other much welcome cooperative changes coming, a lot of these were pretty large complaints from the first game. Quest eligibility issues have all been fixed. You're eligible for any quest that your friend has. If you join my game, and I’m on the last mission of the game, you can still do it with me. In addition to that, there are four player co-op vehicles, like that from the Secret Armory of General Knoxx. There's also a larger focus on skills that help players in co-op. For instance the Gunzerker can draw aggro, drawing enemies off of other players while the siren has some crowd control abilties. The interview wraps up with a discussion about dub step and whether or not it will be included in the game. How much is 96.5% more exactly? Finally - my favorite bit of news - Moxxi is returning as a quest giver in the main game. Borderlands 2 will be out for the Xbox 360, PlayStation 3 and PC on September 18th. It features 4 player online co-op and 2 player split-screen play along with combo co-op.